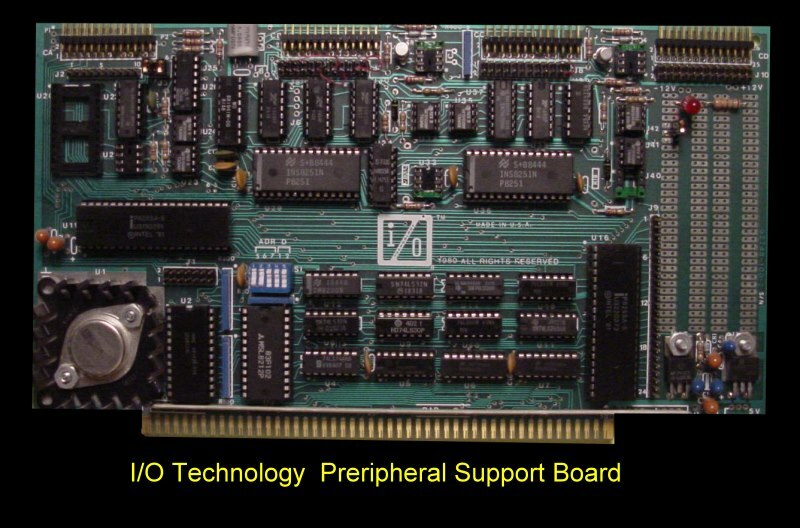 This was essentially a 2 serial port, 3 parallel port I/O board, however there was a useful work area to modify the communications hardware. The two serial ports could be sync or async configured using RS232, TTL or current loop. Besides the 3 parallel ports there was a real time clock/calendar and three timers. An interrupt controller was also on board. I do not have a manual for this board. If you would like to share one please let me know.